A number of veterans emerged from retirement to ensure that the second team derby between Sewerby and Bridlington could go ahead in Beckett League Division B. Relegated Sewerby finished the season with a 24-run win against their neighbours. P Davies hit 54 and Rob Traves 47 as the clifftop club made 196/7, Davies then taking 3-35 as Brid were dismissed for 172. Great Habton sealed promotion from Division C with a six-wicket win against champions Ebberston 2nds. 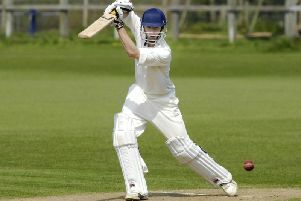 They were able to seal runners-up spot as Flamborough slipped to a 95-run defeat against Seamer 2nds. Craig Baker hammered a fantastic unbeaten 120 as Seamer posted 207/2, with Joe Tiffany also undefeated on 59. Tiffany then snapped up 3-10 and Steve Winwood 3-30 as Flamborough’s promotion challenge was halted by their slump to 112 all out. Mulgrave pipped Seamer to the Division A title after earning a 48-run win at home to Cayton 2nds, their 19-point haul being enough to secure the title. Seamer’s Dave Graham struck 120, Darrol Lewis 55 and Gregg Chadwick 58 as they posted 258/3 at Grindale. The hosts were then dismissed for 125 but the 20-point reward was not enough to earn Seamer the title. Also in Division A, Brompton were handed 20 points as Wold Newton conceded. It was the end of an era at Wold Newton 2nds as Lockton’s 59-year-old Keith Eddon retired from cricket and their skipper Simon Boyes stepped down after seven years. Lockton looked to be cruising to victory in the Derwent Valley Division A clash with the hosts 26/7, but a partnership of 76 for the eighth wicket between Chris Hodgson (51) and Adam Lee helped them up to a respectable total of 130/9, Eddon taking 2-33 from 12 overs and James Boyes - Simon’s son - grabbing 4-13. Fifty-year-old opener Boyes carried his bat for 61 as Lockton made 109/2 in reply. Fellow opener Eddon, who is 60 next month, scored 18 in his final game.